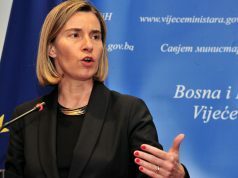 After initial success of the so-called technical talks and the landmark First Agreement of Principles Governing the Normalisation of Relations concluded in spring 2013, negotiations between Belgrade and Pristina sponsored by the Brussels and with support of the U.S. have been recently turning from a dialogue into rather two monologues. The main reason of the deadlock appears to be the question of Kosovo Serbs and status of Serbian-majority North Kosovo region, in particular. While Belgrade has so far proved certain willingness for concessions in important matters such as integration of Serb-run North Kosovo’s security forces and judiciary into Kosovo (Republic of Kosovo) governmental and legal structures, no real progress in establishing Association/Community of Serb majority municipalities has been achieved. In fact, the Association/Community represents the cornerstone of the Brussels Agreement from 2013, six out of 15 points it comprises relate to the matter directly. 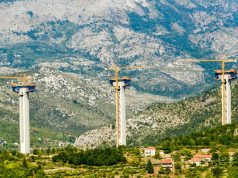 In its essence the deal was meant to ensure self-governance for Kosovo Serbs as well as their representation vis-à-vis Pristina and Belgrade in exchange for de facto recognizing Kosovo´s sovereignty over its entire territory by Belgrade. While Kosovo North security and judiciary structures were at least formally incorporated into the Kosovo system and Serbs of the North were encouraged to participate in Pristina-run municipality elections (often by highly non-democratic methods), majority opinion of Kosovo Albanians and Pristina powerholders is essentially rejecting their obligation to establish the Community/Association. The issue even caused mass protests and long-lasting political crisis in Pristina, where Serbian word Zajednica (Community) entered public debate as the symbol of Serbian separatism. The talks have also had serious impact into political scene of Serbia that sensitively reflects current geopolitical cleavages in polarizing Europe. Fresh air into the debate on mutual relations was brought in summer 2018 by presidents Aleksander Vučić and Hashim Thaci gingerly suggesting possible land swap between Kosovo and Serbia. However, such an idea goes directly against desires and dreams of domestic nationalists but most importantly against the will of some representatives of Western liberal circles, including German Chancellor Angela Merkel, that want to see Kosovo as a multi-ethnic democracy – exactly what it is not. 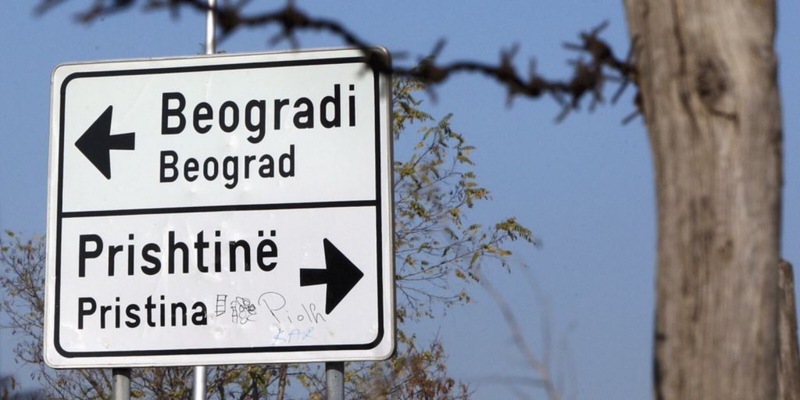 Besides, the North of Kosovo inhabited by Serbs is much less strategically important than transport corridor of Presevo Valley (in Alb. discourse Eastern Kosovo, Albanian majority territory in southmost Serbia) connecting Serbia with south of the Balkans and Aegean Sea. This is why the exchange of territory seems bit unrealistic. Recently, we can observe growing disappointment in Serbian political circles that are perceiving the talks as zero-sum game, where there is nothing real to gain and Serbia is only being forced to recognize the Republic of Kosovo as an independent state. Probably, such a perception is not far from the reality. On the other hand, in current geopolitical reality Kosovo and its Western protectors don’t have enough strength to force Serbia to officially recognize the independence of the ‘New Born’ state. Thus, what we can observe is ‘dialogue for dialogue’ in which the form but not the essence is important and new rounds of the talks are only being convened to please the EU. At the same time, powerholders in Kosovo and Serbia are rather focusing on reality show for domestic audience, including mutual provocation such as the iconic train penetration, arrest of minister Marko Djuric, Gazivode Lake incident and similar. Let aside theses about traditional alliance between Orthodox Slav brothers Serbs and Russians, the 1999 U.S. led NATO intervention in Yugoslavia and Kosovo’s proclamation of independence in 2008 represent powerful mementos for Russian foreign politics towards the West, and the U.S. in particular. Since then, much more assertive foreign policy has been developed by the Kremlin, especially in widely defined near abroad (blizhneye zarubezhye). Russia proved to be a firm supporter of Serbia and Serbs living beyond Serbia’s borders on various international forums including the UN Security Council. In fact, for a long time Russia was the only important ally of Serbia vis-à-vis Western drive for Kosovo independence. Furthermore, it has posited itself as offering an alternative to the neoliberal global order imposed by the West. In the case of Kosovo, Russia stands for guarantor of security and territorial integrity of Serbia, in opposition to the EU and US stance. Moscow runs a policy of almost entirely ignoring official Pristina institutions (insisting on UNSC resolution No. 1244) successfully irritating not only Kosovo Albanians but the West as well. More importantly, Kosovo issue presents a great opportunity for Russia to gain relatively cheap points among the Serbian public and part of the political class that isn’t very keen on the so-called Euro-Atlantic integration. Highly ranked representatives of Russia and Serbia regularly discuss the Kosovo issue during their meetings and Russia is always there to vocally support Belgrade in case of occasional incidents as mentioned above. Whenever possible, Moscow publicly expresses unconditional support for Belgrade’s policies regarding the Kosovo question, including any possible form of the dispute solution acceptable for Serbia. Besides, a sort of ritual thanks giving for the support on Kosovo is regularly practised by Serbian officials when meeting their Russian counterparts, even on occasions such as business forums. News about this strategic friendship are spread by soft power means; Russian financed media (especially popular is Sputnik), but also by Serbian state-run or quasi-independent TVs and other media formats, various pro-Kremlin and anti-Western think-tanks, political parties (including representatives of ruling SNS and SPS) or simply by word of mouth, as the Kosovo independence and generally speaking Western dominance is not welcomed by most of the Serbs. It is widely believed that Russia together with China could stand for the alternative to the EU in terms of economic relations and that Moscow can provide security guaranties for Serbia and even Serbs living outside of Serbia. Already Russia has for example got inscrutable multipurpose base located strategically in the southern Serbia close to the borders with Kosovo. However, disregarding the official Kremlin´s rhetoric, Serbia and the Balkans in general still only serve rather as a bargaining chip in Russian foreign policy game to be used when it comes to possible deals with the U.S. and EU on the near abroad, i.e. former Soviet territory. Previous articleBelgrade NATO week: What is the best solution for normalisation of relations?